Shillong: Facing sexual harassment charges,Meghalaya Governor V Shanmuganathan tonight resigned after a section of Raj Bhavan employees demanded his removal for “seriously compromising” the dignity of the gubernatorial office. Official sources said 67-year-old Shanmuganathan tendered his resignation from the post. Chief Minister Mukul Sangma had said earlier in the day said that he was waiting for Prime Minister Narendra Modi and the Home Ministry to take a call. Nearly 100 Raj Bhavan staff here petitioned President Pranab Mukherjee, the Prime Minister and Union Home Minister Rajnath Singh seeking their intervention to remove the Governor and restore the dignity of Raj Bhavan. The employees had alleged that Shanmuganathan had “seriously compromised the dignity of the Raj Bhavan and made it a ‘young ladies club’. 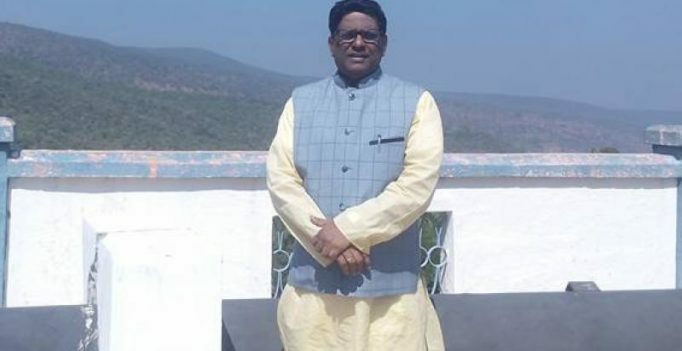 Shanmuganathan, who took over as the Governor of Meghalaya in May 2015, today attended a Republic Day celebration in Arunachal Pradesh, whose additional charge he holds since November last year following the removal of Jyoti Prasad Rajkhowa. Women activists had begun a signature campaign here seeking Shanmuganathan’s removal. The campaign, spearheaded by women-led Civil Society Women Organisation (CSWO) and Thma u Rangli (TUR), was launched following reports of inappropriate behaviour by the Governor. A woman job aspirant had also accused the governor of making advances when she was appeared for an interview at the Raj Bhavan. Apple iPhone X in a washing machine: Did it survive?